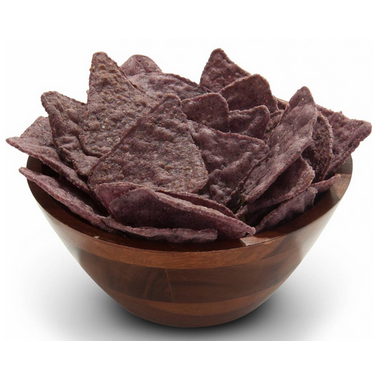 Organic corn tortillas lightly salted & crunchy with whole grains & seeds. 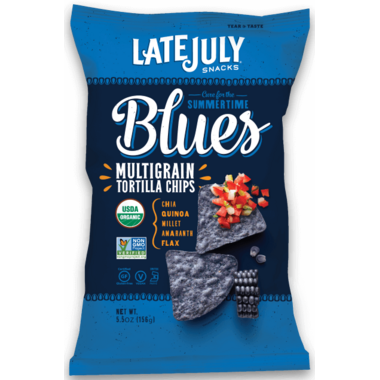 Late July's Multigrain Tortilla Chips are power packed with wholesome organic grains and seeds. They free from 7 major allergens and are perfectly delicious! Ingredients: Organic Whole Ground Blue Corn, Organic Expeller Pressed Sunflower Oil and/or Organic Expeller Pressed Safflower Oil, Organic Brown Rice, Organic Chia Seeds, Organic Grain & Seed Blend (Organic Flax, Organic Millet, Organic Brown Rice, Organic Quinoa, Organic Amaranth), Organic Evaporated Cane Sugar, Sea Salt.